All Servers will be under maintenance at 16:00 PM GMT+8, 09:00 AM GMT, 04:00 AM EST, 01:00 AM PST on July 13th. 1.Smash egg event is online from July 13th to July 19th. B.The player who break the score boundary will get personal rewards, all players in the server will get server rewards as well. 2. 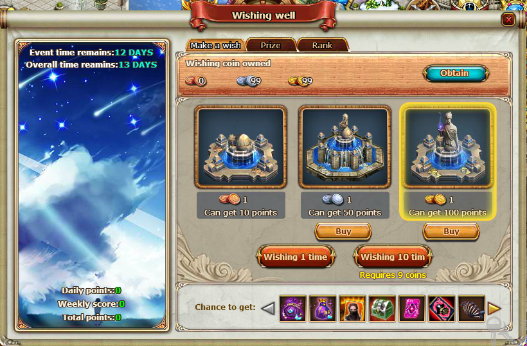 Wishing well event is online from July 13th to July 26th. 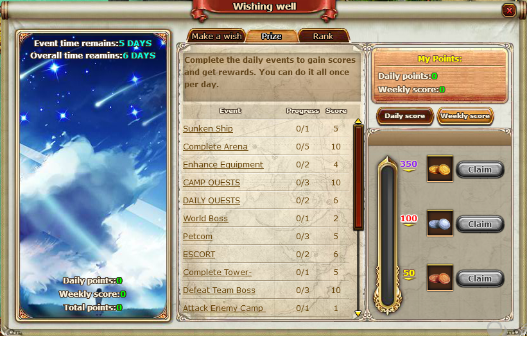 Rank reward claim time is July 27th. 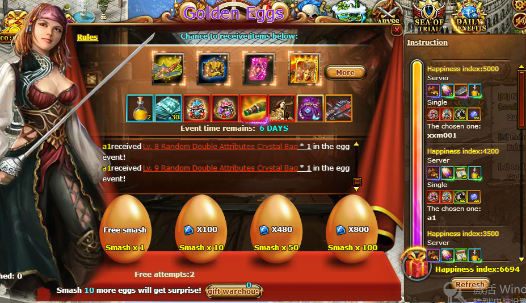 A.Finish various quest in the game to obtain score each day, you can claim the wishing coin after your daily score and week score reach the certain amount. 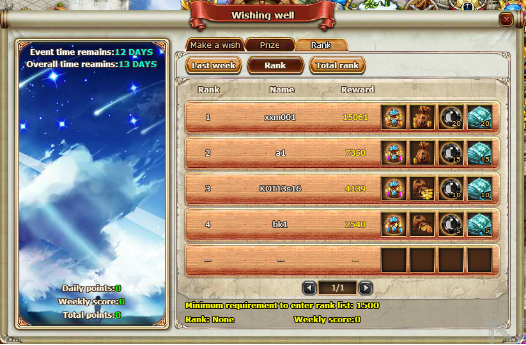 B.You will not only obtain score, but also reward by using wishing coin to make wish directly. C.If the weekly score or total score you got during the event meet the requirement, you even can enter the weekly rank or total rank to claim the awesome rank prize according to your rank. 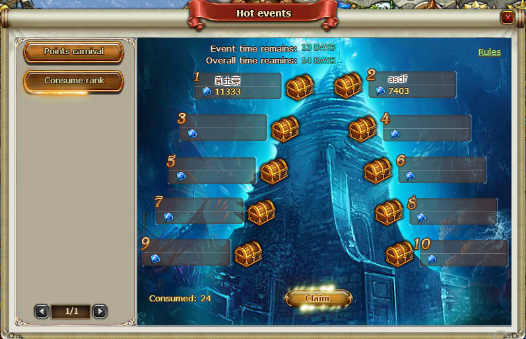 3.Consume rank event is online from July 13th to July 18th. Claim reward time is July 19th. 4. 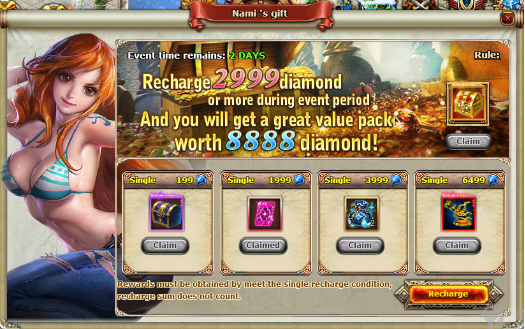 Nami’s Gift event is online from July 13th to July 18th.